Finding that special RV for your weekend getaway or long-term vacation is a special feeling. We work hard to ensure those in California have that special feeling, not just through the sales process, but throughout ownership, too. Buying used is a great choice. While some people must have the latest features and technology (and we understand that), a used RV makes a lot of sense. Looking for a used RV dealer near me? Turn to Trailer Hitch RV today. 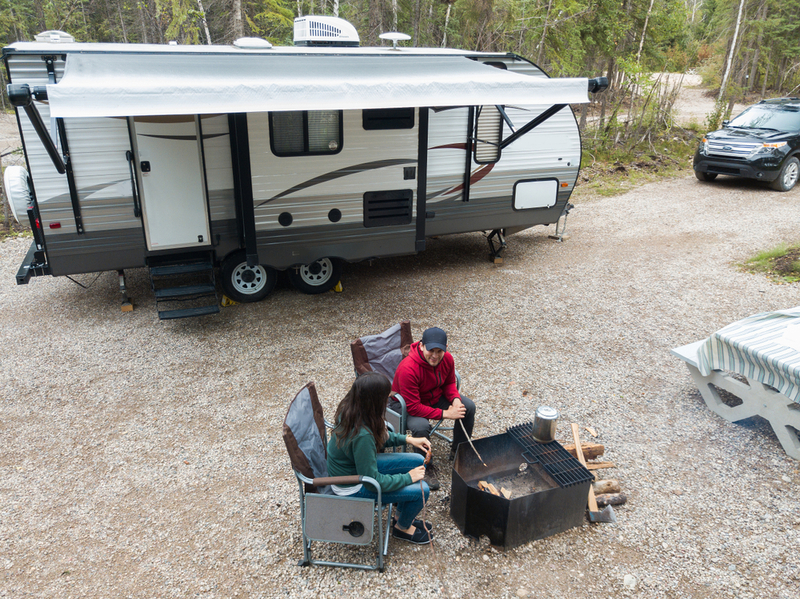 Find the fifth wheel, toy hauler, or travel trailer that fits your personality like a glove. When you buy used, you’ll get a high-quality RV with just a few extra miles on it. Whether you’re brand-new to RV life or looking at a used option to replace something you currently own, our sales team will be there to assist you. If you have any questions about our online inventory, don’t hesitate to reach out to us. Of course, you can always visit us here at our location during business hours to speak to one of our sales experts. You’ll find options from Coachmen RV, Forest River RV, Grand Design, Keystone RV, and more. Whether you’re focused on kitchen features or more intrigued by what the bedroom has to offer, these used options can satisfy your desires in so many ways. Regardless of the RV you’re riding with, our specialists can handle a range of issues. From minor concerns to more complex issues, no job is too challenging for our RV service department. Our end goal is to return you and your RV to the roads as soon as we can. An RV becomes your second home when you’re out on the roads. For some, it may even be a full-time commitment. It’s important to us to provide any needed maintenance, so you’re able to enjoy life. If you’ve been looking for the perfect pre-owned RV, look no further than the inventory at Trailer Hitch RV. Shop our current used options online or visit us here at our location to browse these standout RVs.